Beautifully engraved RARE Specimen from Warner Communications Inc.. This historic document was printed by the Security-Columbian Banknote Company and has an ornate border around it with a vignette of an allegorical man sitting in front of a city skyline. This certificate has the printed signature of Steven J. Ross as Chairman of the Board. $86,375 borrowed from friends and Yale classmates. First issue of Time, with fewer than 20,000 subscribers; magazine loses $39,454 in 1923. 1924 Time turns a profit. 1930 Fortune, a monthly magazine, is published. 1936 Life, a weekly photojournal is published with circulation of more than 500,000 in less than four weeks. Company diversifies into radio, newsreels,book publishing, oil, and forest products. 1960 90 percent of company�s revenues come from magazines. 1967 Time revenues reach $600 million. 1969 Time's bottom line takes a beating as television becomes a major threat. 1972 Life ceases publication; Money is launched. HBO, a new form of pay TV, where viewers pay a monthly fee rather than per-view, debuts. Its first Vice President of Programming is Gerald Levin. 1974 People magazine is launched. 1975 Gerald Levin, now President and Chairman and CEO of HBO persuades Time Inc. to buy $7.5 million of satellite time to distribute HBO programming, making it available nationwide by April. HBO is owner of 52 cable systems around the country. By end of year, HBO had 287,000 customers but decifit continues until 1977. 1980 Profits from Time�s video divisions exceed those from magazines for the first time. One of 10 television households receives HBO. Bob Kerstein leaves Warner Bros to join Falcon Cable TV as CFO. Time begins to be seen as a cable company. 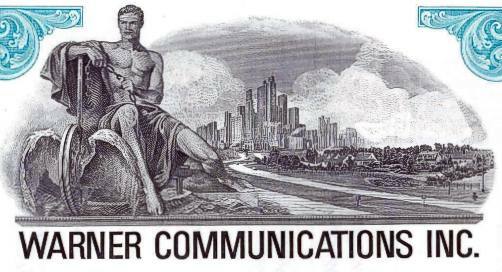 1985 Levin initiates program suggesting merging with newspapers, broadcasting stations, and network. 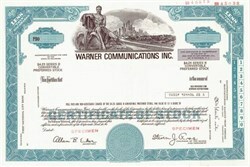 1986 Warner buys out American Express share of Warner-AMEX Cable for $400 million. 1987 Time joined with TCI, the country�s largest multi-system cable operator and other cable companies to bail out overextended Turner Broadcasting System, Cable News Network (CNN). 1988 Warner acquires Lorimar Telepictures. 1989 Time merges with Warner Communications, setting the stage for a string of media consolidations. 1992 Steve Ross, the architect of the Time Warner deal and a terrific leader, dies in December. Levin is named chairman and chief executive officer. 1993 Windows version of America Online launched. 1994 AOL reaches 1 million members. 1996 Time Warner acquires Turner Broadcasting System. Time Warner regroups its operations into Filmed Entertainment, Cable Networks, Publishing & Cable Systems divisions. AOL tops 5 million members. 1997 AOL tops 10 million members. 1998 AOL completes acquisition of CompuServe. Standard & Poor announces that America Online will be added to the S&P 500 Index. 1999 Time Warner announces joint venture with ATT to offer local telephone service in 33 states over Time Warner's infrastructure. AOL completes its acquisition of Netscape Communication Corporation. 2000 Time Warner and America Online announce a $181 billion merger.